A democracy without the rule of law is nothing but a pseudo militocracy. I have never seen a democracy as decayed as what we have in Nigeria today. A democracy characterised by persecution, witch hunt, intolerance, propaganda, bad losers, to mention a few. As long as you are in the opposition, you're not welcome. A democracy where Law Enforcement Agencies would just dig up anything notwithstanding how frivolous for the sole purpose of embarrassing and/or cowing the people's mouthpiece into subjugation. This is so bad for a democracy. This brings to the fore the spat of recent overbearing attacks on the legal profession. The Government, represented in this instance by the EFCC, has decided to bite more than they can chew, attacking the very soul of the legal profession. How does one explain or even justify the news making the rounds on the prosecution of Mr. Paul Usoro SAN, the NBA president - the embodiment of Legal profession in Nigeria? As though that is not sad enough, how does one explain or justify the prosecution of the incumbent NBA president over frivolous charges of earned professional fees? Can any objective mind see this beyond bitter bad blood and political witch hunt?? Your guess is as good as mine. The reasons, however, may not be far fetched. First, the Federal Government lost the legal battle against Saraki courtesy of a strong legal team and strategy credited to Mr. Usoro, a number of appointments, including the appointment of the EFCC chairman, were not confirmed by the Saraki's led senate and nothing happened, Saraki defected from APC and up until today has not lost his seat against all the fight put up by the present government, etc. The ill-willed political mind will trace the brain behind all of the above to a strong legal counsel and strategist, and of course to the stable of Mr. Paul Usoro SAN who is the counsel and chief legal strategist to the Senate president. To make this whole gimmick even more ridiculous, one would be challenged to answer the question, why wait until after his contentious election as the NBA president for which Mr Usoro emerged victorious against all odds, to levy the frivolous charges against him?. Again, an objective mind wouldn't see beyond a motive to ridicule, annoy and embarrass the NBA president. How can you prosecute a lawyer for his earned professional fees clearly substantiated by available documents. Sadly, some lawyers in some quarters, clearly because Mr Usoro wasn't their candidate in the last elections, purport to support the actions of the EFCC in this ill motivated bid, forgetting that the bad precedent being laid by the EFCC would not abide in _personam_ to Mr Usoro but to every member of this noble profession. It is not enough to say that Mr. Usoro should go and defend himself. It is equally not enough to say it does not concern me. 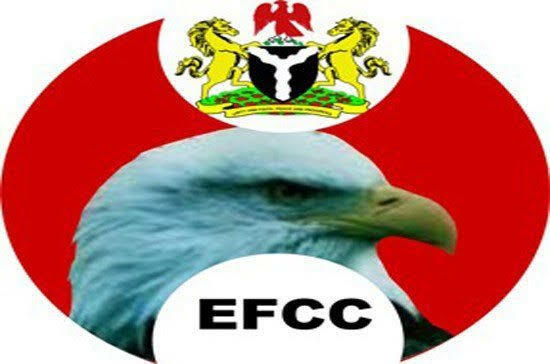 It certainly concerns you, because as it stands now, the EFCC would be emboldened with the effrontery to go after any lawyer in the days ahead once they presume in their judgment that the fees charged by such lawyer is beyond what they expect. I'm poised to believe that one of the unsuccessful presidential candidates at the last NBA election has a hand in this whole mess having sworn that Mr. Usoro will know no peace throughout his tenure as the NBA president. I would, however, ask: where does the love for the Bar which propelled such a candidate to run for election as the Bar president lie? In seeing that the institution of the NBA is ridiculed? In instigating the EFCC to embarrass the office of the president of the Bar? It must have been a sorely bitter loss for such a candidate. I still thank God that the Bar does not have such a candidate as its president. If at all there is a time for all lawyers to rise in coalescence in defence of the nobility and integrity of the Bar, that time is now. It is demeaning on the legal profession to have the EFCC assault it in the manner it has set out to do. I therefore call on all lawyers, young and old, gender irrespective, to stand up against the actions of the EFCC against the Bar and say no to this political witch hunt of the NBA president. We, as members of the Bar, have always agitated and clamoured for a Bar president who has the clout to speak up against the government and its agencies over incidents of dehumanisation and lack of respect for the rule of law. That president, we now have in the person of Mr. Usoro. Shall we leave him alone in the fight against anti-people's actions of this government and its agencies. I think not. I implore lawyers to rise to this occasion. The time is now. I say NO to the prosecution of PUSAN.